These colors don’t run. Like everywhere else in the world, freestyle and street football have taken off in the United States, with some exciting and talented athletes making names for themselves in domestic and international competitions alike. With the Red Bull Street Style World Finals quickly approaching, U.S. freestylers will look to show and prove their skills on the biggest stage there is. Could this be the year we see the first American world champ? Regardless of if we do or not, we can still appreciate both the emerging and established talent the Stars and Stripes has to offer — so we’ve combined some of the best street and freestyle football skills from some of the top American talent. Hailing from Compton, California, street baller Jose Juarez has only been ground moving for two years, but as you can see, he’s already picked up some serious skills. He’s always looking to panna his opponents, and any time the ball meets his feet is bad news for those against him. Molding the youth into the talent of the future is essential if we want to keep pushing the game forward. We see just that here, as this young baller already looks like a problem on the pitch. Known for his street football prowess, Boston Fitzpatrick also has some freestyle skills to boot. 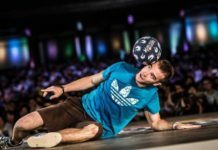 He’s competed in some of the world’s biggest street tournaments, including the 3v3 competition at last year’s Super Ball, but could we see Boston on stage at a major freestyle event soon? I’m trying to work on finding my own flow! Thank you @tobiasfreestyle @thiagosaltori and all the Japanese for inspiring me! With his unique style and personality, Daniel Got Hits has become one of the more popular American freestylers/street ballers. While his accolades favor his freestyle game, including a runner-up finish at the 2012 Red Bull Street Style World Finals, he’s also a force on the street pitch, as seen here with his savage panna of fellow U.S. freestyler Michael Bliss. One of the more respected figures in the U.S. freestyle scene, Vincent Grady — known to most as Spinny Vinny — has one of the most unique flows in all of freestyle. While it may not be as flashy or heavy-hitting as some of the lowers specialists around the world (no pun intended), you can’t deny Vinny’s creativity and pure love for his craft. By now, it’s a well-known fact that Isaiah Escobedo is nobody to fool around with in the panna ring. Reaching the top eight at the recent Pannahouse Invitationals, Isaiah’s lightning-quick footwork has panna’d many a foe. Set to rep the U.S. in Poland at this year’s Red Bull Street Style World Finals, you can bet that New Jersey-native Ebubekir Tas is working non-stop to sharpen up his skills. He describes these tricks as “not difficult,” but you’d be hard-pressed to find a freestyler to agree with him. Any time someone hits an Akka 3000, it’s a pretty big deal. Invented by the legend Issy Hitmain, anyone who can pull this move off instantly gains respect from the street community. But for a 9-year-old to land it this cleanly is just mind-blowing. We’ve seen Anastasia Showler, aka “Pannastasia” before, and we seem to have an inclination that we’ll definitely see more of her moving forward. Urban Pitch athletes and freestyle extraordinaires Lizzy Calderon and Caitlyn Schrepfer have been staples in the U.S. freestyle scene for quite some time, but now with a joint social media account, they can show off their unmatched chemistry to a new audience. 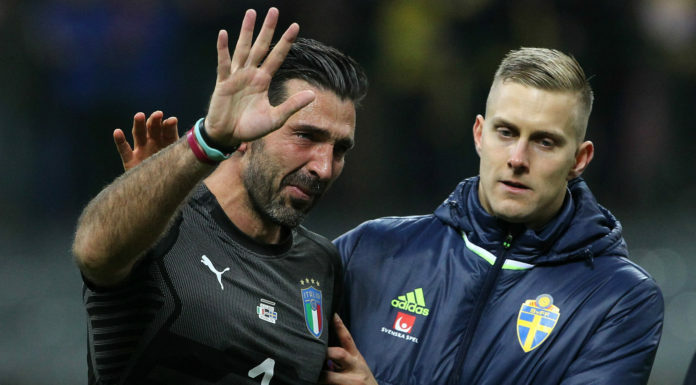 Name a more iconic duo. We’ll wait. Want to be featured in the next Top 10 Tekkers? Be sure to tag the Urban Pitch Instagram and use the #urbanpitch and #top10tekkers tags on all of your posts you think are worthy of a spot!